Relations between Azerbaijan and the Netherlands developed actively, said President Ilham Aliyev as he received Rene van der Linden, President of the Maastricht School of Management, former President of the Dutch Senate and Honorary President of the Parliamentary Assembly of the Council of Europe, in Baku on May 18, Azertac reports. The head of state highly appreciated Rene van der Linden`s efforts in this regard. 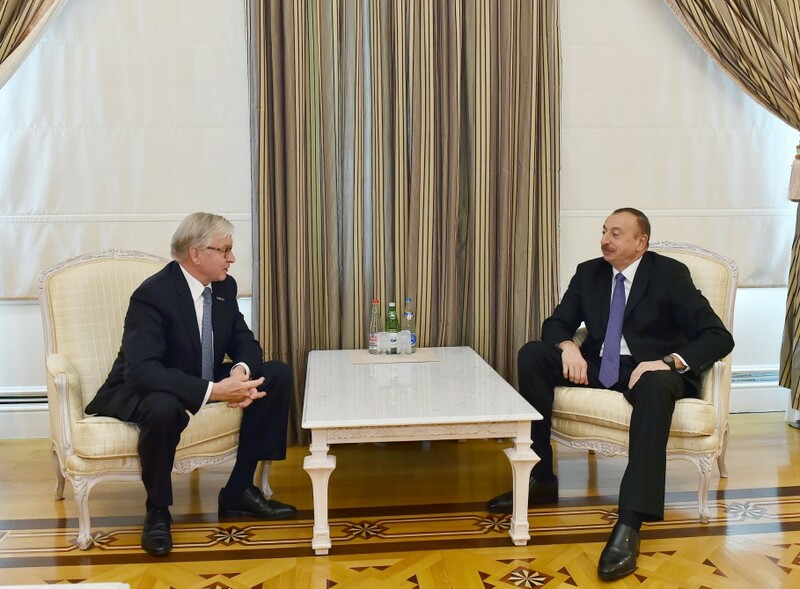 President Aliyev said the scope of the issues of the two countries` mutual interest was always expanding. Speaking about cooperation between the two states in business sector, the president reminded that the number of Dutch companies was increasing in Azerbaijan. President Aliyev further said relations between Maastricht School of Management and ADA University were of strategic importance, and described all this as positive indicators of cooperation. Rene van der Linden, for his part, hailed cooperation between the Netherlands and Azerbaijan. He thanked President Aliyev for this cooperation, in particular for establishing ties with the Dutch province of Limburg. The official said both sides spared no efforts to develop these ties. They exchanged views over Azerbaijan-European Union cooperation, as well as development of bilateral ties between Azerbaijan and the Netherlands in various fields, and settlement of the Armenia-Azerbaijan Nagorno-Karabakh conflict. Earlier, the Dutch official met with Deputy Minister of Agriculture Ilham Guliyev and discussed opportunities for cooperation in various fields of agriculture between Azerbaijan and the Netherlands. Guliyev informed the guests about institutional reforms carried out in agrarian sector in recent years, the attention and care of the president to this sphere, relevant decisions and orders, as well as subsidies for agricultural producers, emphasizing favorable investment climate in Azerbaijan in the field of agriculture. In turn, Van Der Linden, stressed their interest in the field of agriculture, especially exchanging and sharing experiences in breeding, floriculture, irrigation systems and educational spheres in Azerbaijan. The guest also informed about agriculture of his country, emphasizing that the Netherlands is the leading agribusiness country in Europe. During the Baku visit, Van Der Linden also took part in the Azerbaijan-Netherlands forum that involved 25 Dutch and about 50 Azerbaijani companies. The relations between the Netherlands and Azerbaijan have strengthened over the past years. About 112 companies with Dutch capitals operate in Azerbaijan, in the spheres of shipbuilding, logistics, ecology and banking. The trade turnover between the Netherlands and Azerbaijan amounted to $44.71 million in the first quarter of 2016, $21.65 million of which fell on exports to this country, according to the Azerbaijani State Customs Committee.